Sump pumps are often forgotten about until it rains! Sump pumps, or dewatering pumps keep the water from flooding our houses, not everyone has a sump pump, only houses or business that are below the street, where natural run off is not possible. Our plumbers in Redondo Beach and Hermosa Beach replace a lot of pumps in Redondo Beach, Manhattan Beach, Hermosa Beach, Torrance. We always recommend pumps and pits be maintained every 1-2 years. Sewage ejectors are another type of pump, they are installed when plumbing fixtures drain below the sewer line, they pump the sewage up to the main sewer, and then the rest drains by grade. Sewage ejectors are also very important, and are used regularly. Some come with Alarms, it is recommended an alarm be installed if you do not have one, this notifies you when the pump is not functioning properly, a lot sooner then if you did not know and kept using the fixture, if you keep using the fixture it either overflows the pit, or stops up the fixtures. Better to be warned early, then to have sewage all over!! 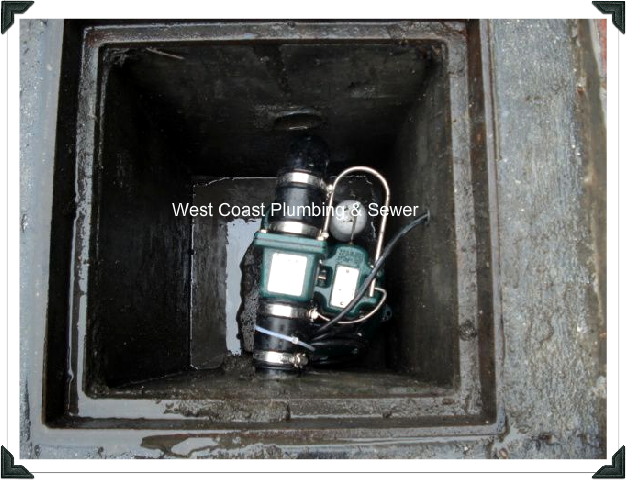 Call 310-947-6267 for an ESTIMATE and to schedule your sump pump replacement. Emergency Service 24 Hour a day including Saturday and Sunday.